Author Steve Devereux has completely rewritten and updated this overview of onshore and offshore drilling operations and technology. He takes readers through the entire drilling process from basic drilling geology through managing drilling operations. The updated edition covers key management issues such as safety, the environment, costs, and regulations. A new chapter offers advice to those considering working in the industry. 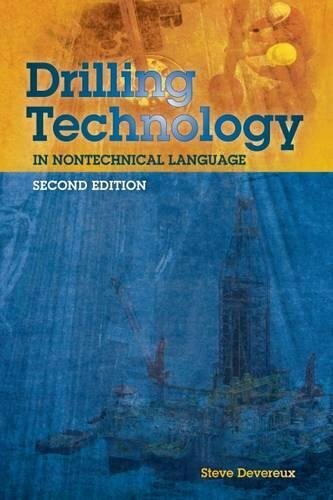 Drilling Technology in Nontechnical Language, 2nd Edition, is ideal for everyone interested in the drilling industry, including industry veterans, non-engineer industry professionals, and undergraduate petroleum engineering students. If you have any questions about this product by Brand: PennWell Corp., contact us by completing and submitting the form below. If you are looking for a specif part number, please include it with your message.